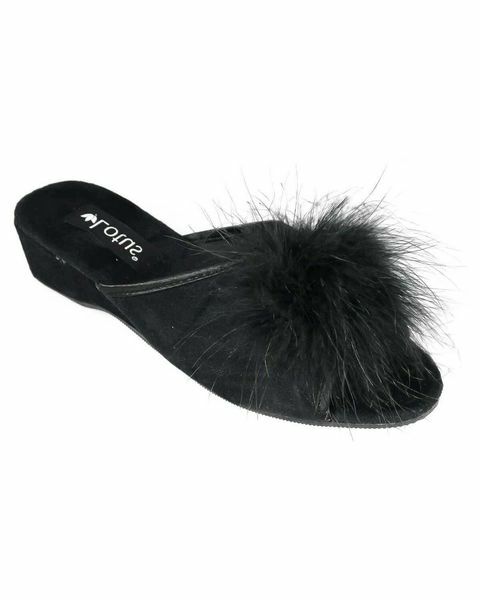 Ladies Black Fantasy Slipper. Pretty slip on slipper. Sizes 3-8. Ladies pretty slip on slipper with peep toe and decorative feather detail. Man-made sole.